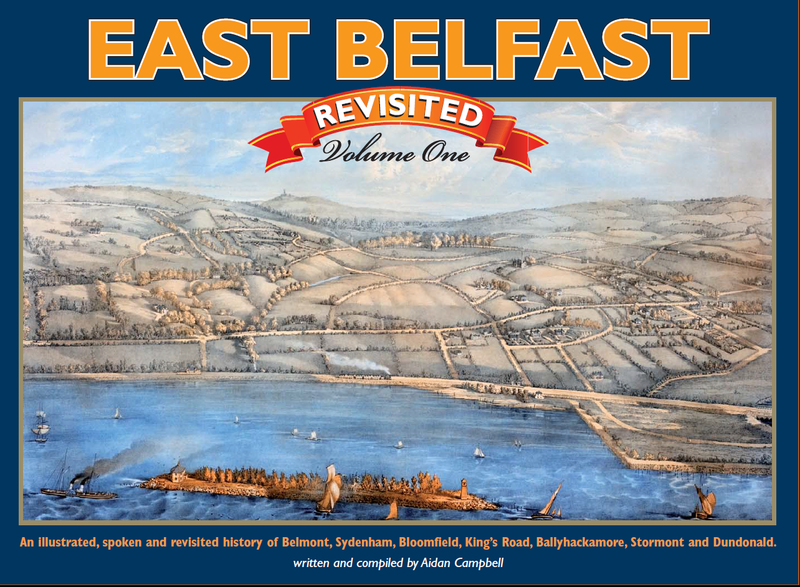 East Belfast Revisited Volume 1 covers the areas of Belmont, Sydenham, Bloomfield, King’s Road, Ballyhackamore, Stormont and Dundonald and contains freshly gathered materials which for the most part have not been previously published. As with previous publications it recalls the story of how the once rural surroundings have developed into an urban environment. It brings back memories of big houses, small houses, shops, businesses, clubs, societies, sports, games and pastimes, families, schools, churches, old means of transport, everyday events and grand occasions, wartime and daily life. The story looks at the way things used to be. This is the oldest image contained within ‘East Belfast Revisited’ and it not a photograph but an oil painting. 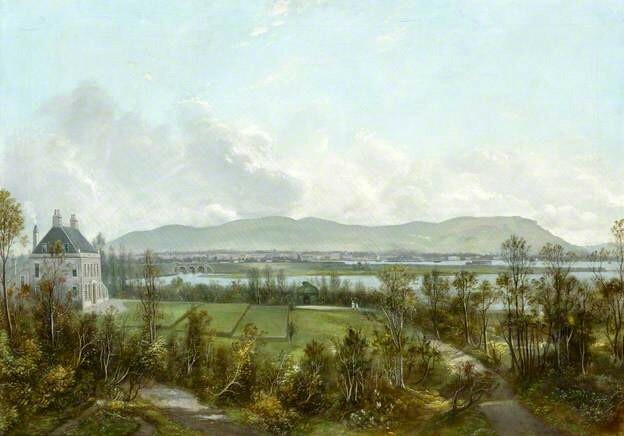 Hugh Frazer (1795–1865) was an Irish landscape artist best known for his views of Belfast and County Down. This painting of ‘Connsbrook House, Belfast’ was completed in 1813 when there was little building development in the area now known as Connsbrook Avenue near Holywood Road. An early reference to the house is found in the Belfast Street Directory of 1852 which records that Neal Boag was resident at Connsbrook Notice the Connswater Bridge in the distance and the small town of Belfast in the distance. The 1901 Belfast Street Directory notes that the first resident on the left hand side of Belmont Road at Gelston’s Corner was W. Smith who operated a posting establishment. There were no other streets listed on this section of Belmont Road as far as Ranfurly Street (now Ranfurley Drive). Most of this land was occupied by the home of Robert Ferguson, ‘Sydenham House’ and Ferguson Drive is named after him. 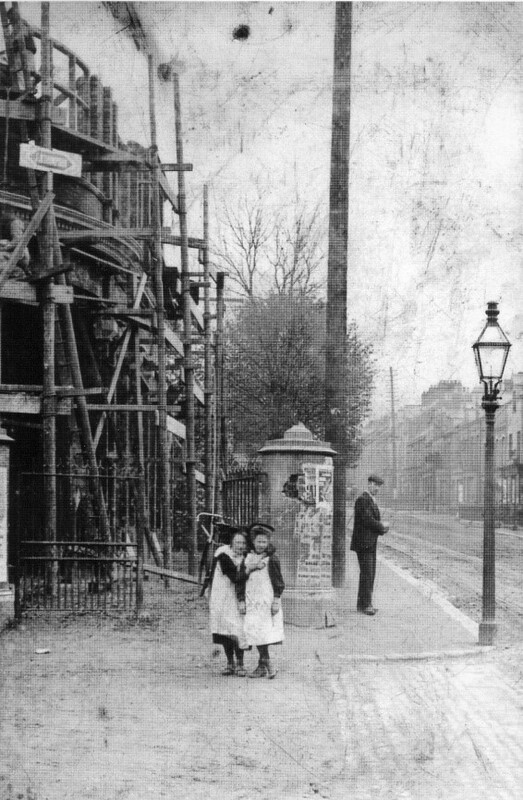 By 1907 (around the time of this photograph) the site is occupied by ‘New shop vacant, stabling and yard’. The Belfast & County Down Railway, Sydenham station as it looked in 1929. The station was originally (in 1848) known as ‘Ballymisert Halt’, having taken its name from the surrounding townland. In those days it was a mere stopping place without a platform until the name of ‘Sydenham’ was adopted for the district in 1856. To the left is Bruce’s wee shop which is the white building located just across the railway line and now the site of the modern Sydenham Bypass dual carriageway. The footbridge is centre and the station house is the Virginia Creeper-clad building pictured to the right at the very end of Station Road. 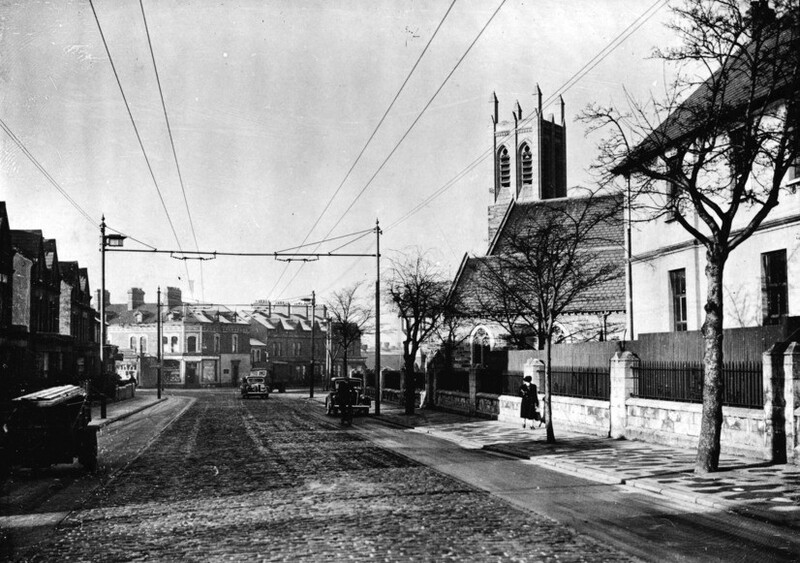 The tower of St. Donard’s Church overlooks the junction where Bloomfield Road meets the Beersbridge Road. The 1943 Belfast Street Directory reported that the occupant of 330-336 Beersbridge Road was Stewarts Cash Store Ltd. It is out of view just to the left. This was Joseph L. Stewart’s first store which he opened on 30th September 1911 and he always required a disciplined attitude from his employees and it was commented that : ‘Cleanliness was the order of the day. No person with a dirty coat ever served a customer’. Sound advice a hundred years later! J.L. Stewart eventually created a retailing empire in Northern Ireland and owned 72 shops. In this 1947 view notice the overhead trolleybus cables. The Kirkwood family pose for what looks like a professional photograph in around 1900. ‘The Beeches’ was the family home for many years and in 1956 the Hospital Authority purchased The Beeches and set about building the new Ulster Hospital. The Ulster Hospital for Children was founded in 1872 at Chichester Street, Belfast and in 1877 moved to Fisherwick Place where Jury’s Inn is now located. By 1891 the hospital, known as ‘the wee hospital’, had moved to Templemore Avenue but was destroyed during the ‘Blitz’ of 1941. In 1962 the current Ulster Hospital was opened by the Duchess of Gloucester at Dundonald and she described it strangely as ‘not only of functional excellence but also of distinctive beauty’.
. . . anyone know the names (first names) of the “Kirkwood” clan featured in the picture? Thanks for getting in touch. 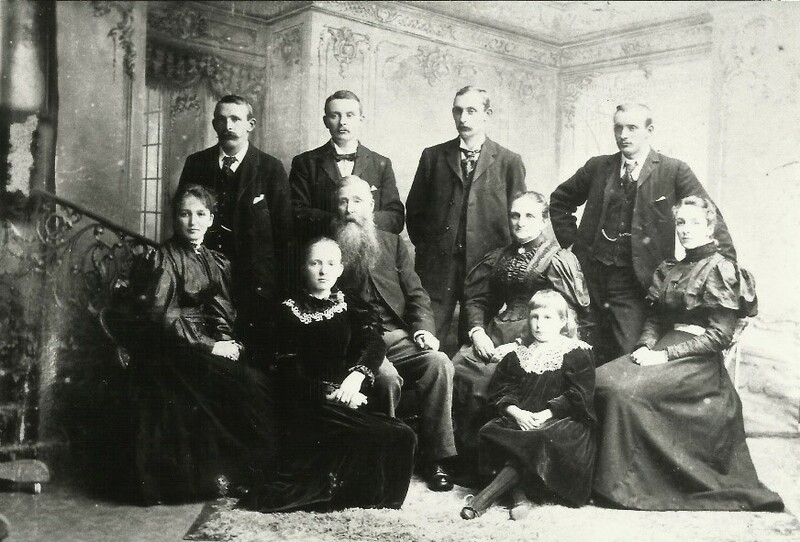 The old photo of the Kirkwood family was not accompanied by details of the names of the family group other than what is mentioned in the book. Sorry I cant be of more help. 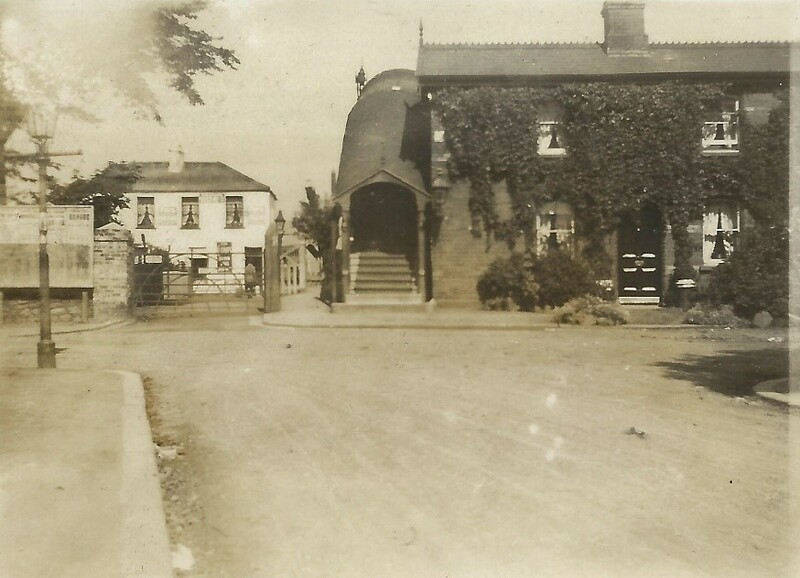 I am looking for information on a building on Park Avenue in Strandtown called Rathcoole. I have an old print my father had framed . He was from this area and lived as a child on Connsbrooke Avenue. Could be his information is confused as he was near 90 when he had it framed..
which of your books would be good resources for me on the area he lived in as a child. his father is in the 1901 and 1911 census as John A Gregg born 1970, his wife was Annie McAndless. I made a mistake , a typo in my last comment ; my grandfather was born around 1870, I believe 1869, his name was John Alexander Ussher Gregg, he died 1825 and the address is number 7 Park Avenue, Strandtown. The print / poster I have is of Rathcoole house Park Avenue. Now I wonder was this lovely Estate style house turned into a multi family dwelling as it seems too posh for a national teacher? I have photographed the reproduction poster I have of Rathcoole house and will try to post it here if I can or send as a separate attachment. Ken Gregg you must be a cousin but can you tell me the connection. I knew Kenneth Gregg my uncle married to Nan and their daughter Anne Gregg; perhaps you are their son. Yes Sharon I am your cousin. Son of Kenneth and Nan Brother of Anne. I think I have a copy somewhere in the house but will have to search. Rathcoole was demolished late 50s probably early 60s for redevelopment. I just looked at the Google photo of 3Park Ave, Shaws Catering and I think that it might be the building or it sure looks very similar. Nice to chat are you on FB you can connect with me there. Regarding Children’s Hospitals there once was one on Claremont Street, with a garden court off Abercorn Street which was/is very narrow. Claremont Court Gousing now occupies that site and the court is carparking and the Abercorn side has no longer the East light which the street layout designer included with the open Court light now destroyed. The houses are in shadow most of the time. Elevated Sun does not stay around for long. There is here in your description a references to ‘The Beeches’. My grandfather and grandmother lived in a small holding which they cultivated as a nursery and was where the Creagh Road Circular Road traffic lights now are. It was called ‘Beech Lodge’. The local authorities ambushed my Granda and for a pittance sequestrated the land and drove a road through it. Progress. I can send you a photo of the print of Rathcoole House. My brother in Edmonton has a copy of a family photo 1923 on the steps of the house.